SnapCacklePop: Little Mix get men out their Hair with girls night in..! 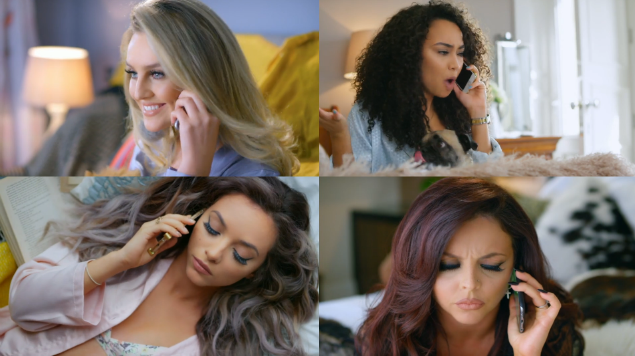 Little Mix get men out their Hair with girls night in..! Little Mix have dropped their new video for the fourth single to be released from their album Get Weird. The girls are supporting one of the girls over a break-up* by handing a girls night in with cocktails, product placement, pizza, karaoke and lots of hair flicks, whilst chatting to Sean Paul, who provides guest rap vocals, via FaceTime..! *Many girls will jump on board with this video over breakups, especially Perrie which this track was said to be about and her breakup with Zayn..!